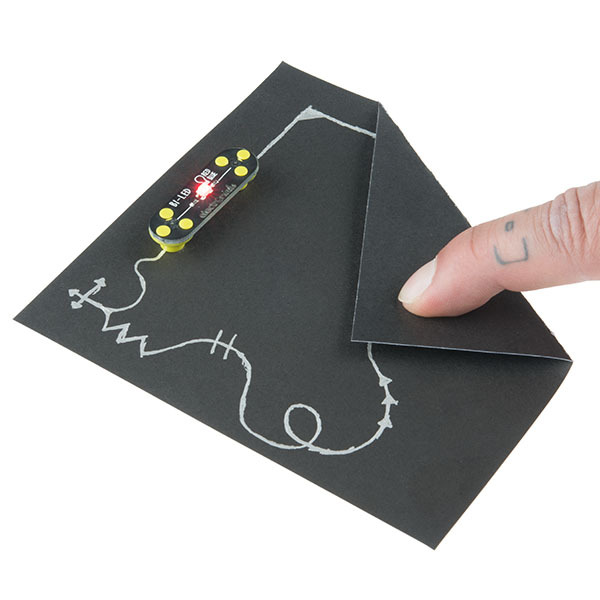 This is the Circuit Scribe Maker Kit, a massive conductive ink pack with a full range of modules and other items that you can use to create cool circuits. 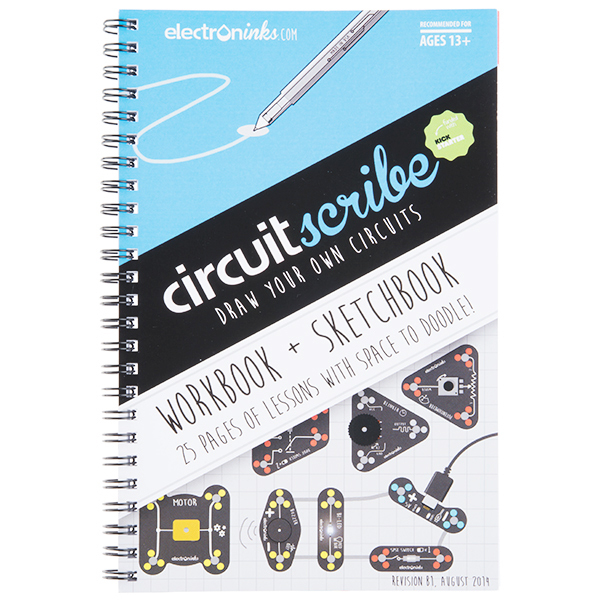 Similar to the Lite Kit, this Circuit Scribe Maker Kit is easy to set-up, choose the modules you want to connect, draw your circuit lines with the included Conductive Ink pen and you're good to go! 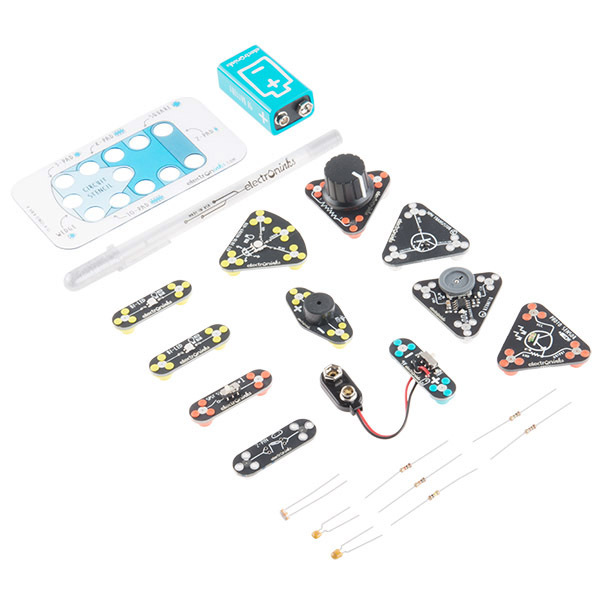 With this kit you will be able to work with more advanced output components and sensors. Add sound to your circuits using the Buzzer Module, fade between colors by combining the RGB LED and Potentiometer Modules, or control your outputs with light using the Photosensor. Of course you don't need to just stop at using only the modules included in this kit, go out there and make any circuit you wish to create! 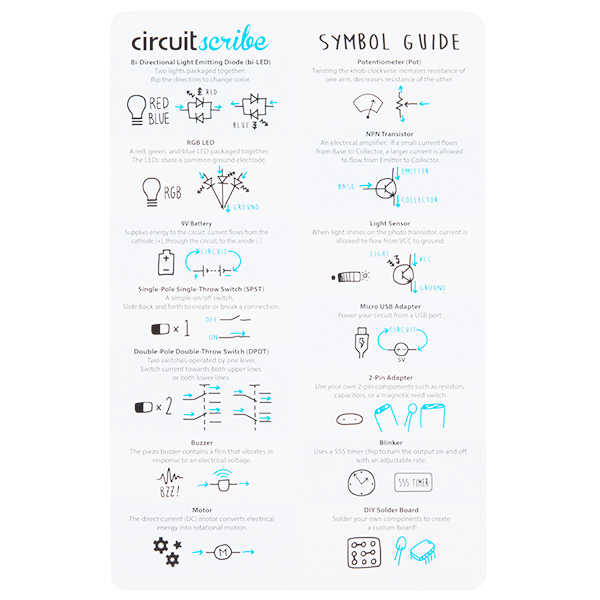 With Circuit Scribe you can draw exactly what you want, no wires or breadboard required. You can build a circuit with nothing but a coin battery, paper clip, and LED, or build out complex circuits with multiple components. 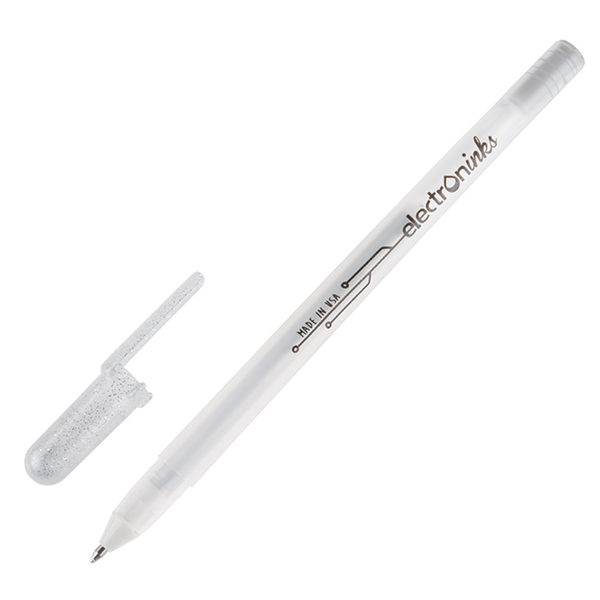 The Conductive Ink Pen included in this kit uses a non toxic, silver conductive ink that writes on any surface a regular roller ball pen would with a resistance of 2-10 Ohms/cm. 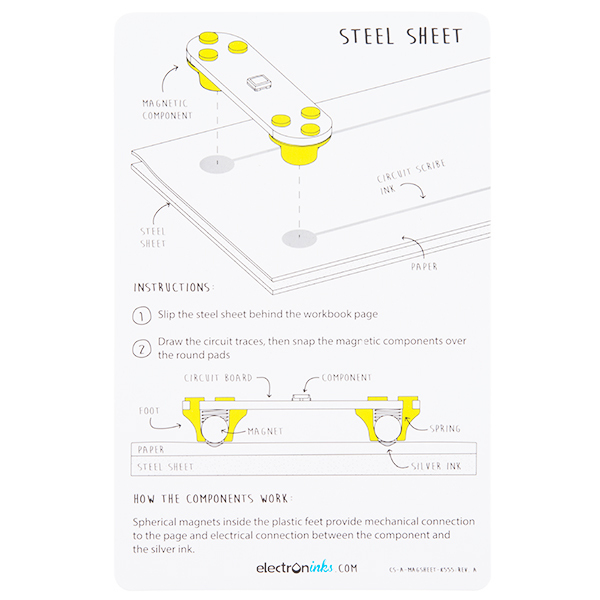 This kit also comes with a workbook full of great project ideas, 11 magnetic electric modules, a 9V battery, and a few other accessories to add to your circuits.